Don’t let your parts counter get lost under a heap of paper catalogs or get bogged down jumping between OEM web portals looking for the parts you need. 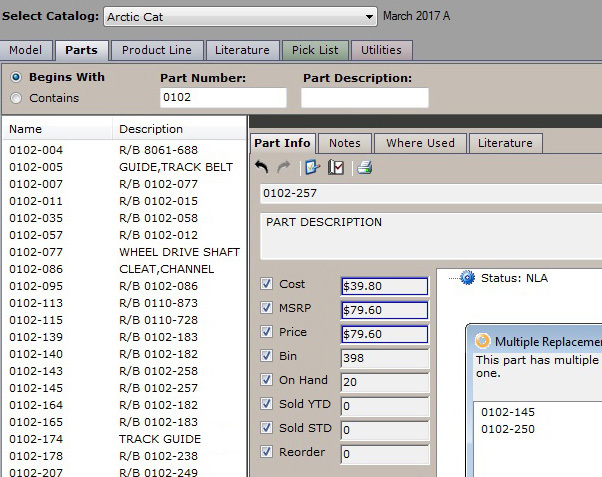 Get The Part Information You Need PartSmart puts part details, pricing, part replacement history and diagrams at your fingertips. 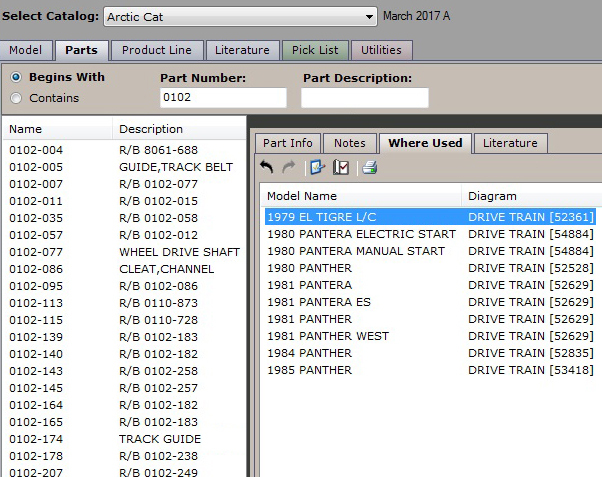 Locate Where The Parts Are Used Search an entire manufacturer catalog to find all the models, and on which diagrams, a part is used. 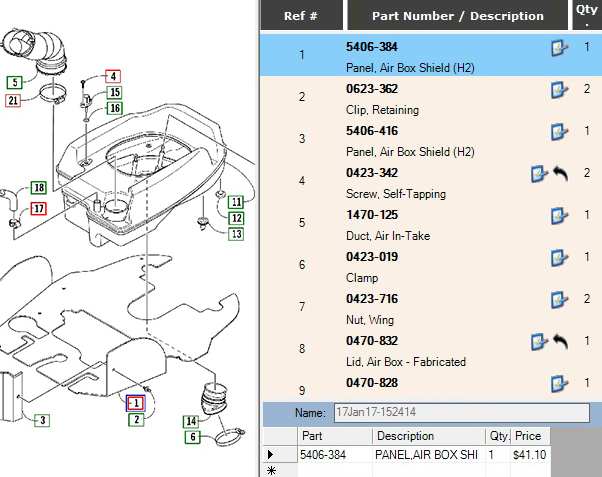 PartSmart puts part details, pricing, part replacement history and diagrams at your fingertips. Search an entire manufacturer catalog to find all the models, and on which diagrams, a part is used. 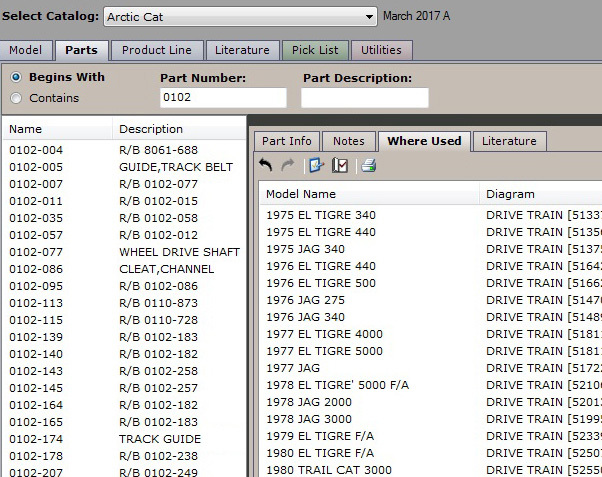 More DMS Connections PartSmart integrates with more than 90 Dealer Business Management Systems to display your part pricing and inventory levels, and export your picklists to create an invoice in your DMS. Want A Hands on Demo? Be the hero of your parts department.